The third instalment of the brand new series of illustrated middle grade fiction titles starring Roy of the Rovers, the classic British children's football hero rebooted for the 21st century! Crunch time for Rovers: the end of the season is here, the club is in deep trouble, and it's down to Roy to bring a bit of hope back to the Melchester faithful. 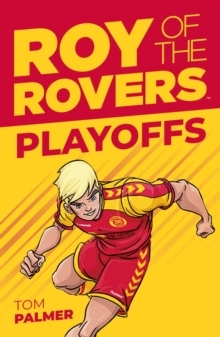 The new era of Roy of the Rovers continues!